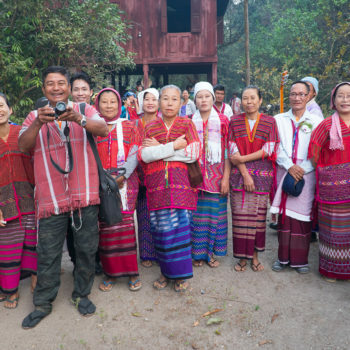 Bryce, our visiting instructor, believes that after attending the Trauma Training, EMA’s Physician Assistant students are able to confidently manage traumatic injuries in the hard environment of rural Myanmar and to bring high quality medical care to its inhabitants. “The Physician’s Assistant students were able to attend two weeks of Trauma Training which included instruction on haemorrhage control, airway management, respiratory support, identification and management of shock, as well as prehospital management of hypothermia, head trauma, and burns. The training instilled a systematic approach to dealing with life threats in the order of precedence. For example: it may only take two minutes for a patient to die from blood loss and six minutes to die from lack of oxygen, therefore it is important to stop any major bleeding before moving on to opening the patient’s airway. The students performed very well. They were often able to see a treatment performed once and then recreate it perfectly. This made teaching very easy despite having to learn some complex concepts in English. Each student was given multiple opportunities to act as a sole medical provider in practice trauma runs complete with makeshift wounds on live patients acted out by their peers. Training culminated in practicing haemorrhage control and minor surgical skills on sedated patient role models. This gave each student the opportunity to see how an arterial bleed, tension pneumothorax (commonly referred to as a collapsed lung), and airway complications present in a living patient. This type of training is invaluable because the medical provider is able to identify the problem, perform the necessary treatments, and assess the effectiveness of those treatments before it means life or death of a human being. After attending this training the Physician Assistant students are now able to confidently manage traumatic injuries in the austere environment that is rural Myanmar and bring high quality medical care to its inhabitants. Upon completing the Trauma Training, I found myself in a unique situation. Due to a much higher than average amount of precipitation this rainy season, many of the surrounding areas have been affected by flooding. Along with Dr. Mitch and others from Earth Mission Asia I was granted special permission to assist in relief efforts in several of the villages affected by floodwaters. We were able to bring clean water, rice, and other food products to townships surrounding Ler Doh (Kyaukkyi) and on the banks of a major river. Most importantly it allowed us the opportunity to educate many of the villagers about what to look out for when dealing with contaminated water and how to treat those who become ill. Food and clean water are extremely important but inevitably people are going to get sick. Knowing how to care for those people can truly save lives. 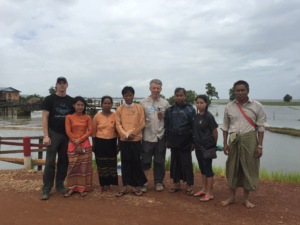 Along the way I was struck by the kindness of the Burmese and Karen people. Despite having few resources, they were still eager to provide us with home cooked meals in what was a desperate situation. While I am headed back to America, they will remain to deal with the fallout of this natural disaster. There is still much work to be done by those I leave behind. 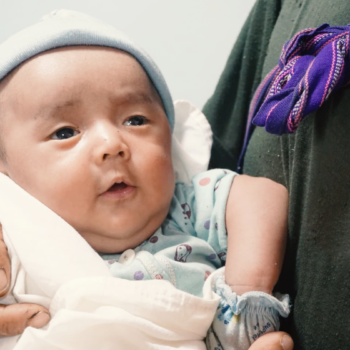 I will not soon forget the people I met during my time in Myanmar, and I pray that their needs are met in the months to come.” – Bryce, visiting instructor at the T-RAD clinic.